Historically, the resplendent isle of Sri Lanka has had a reputation of harbouring beautiful and intricately carved gems and this bountiful resource lead to the development of a thriving gem industry. Since the colonial period, foreigners have delighted in the unusual colouring of gems and the marvellous designs and this has created a foreign market for local Sri Lankan gems. In such a thriving industry, moonstones in particular take centre stage for Sri Lanka has a reputation for producing the highest quality moonstones. These gems embody a moon-like glow and this brilliance is visible most clearly in Sri Lankan moonstones. Additionally, moonstones are also designated as the June birthstone and as a result, are in high demand. 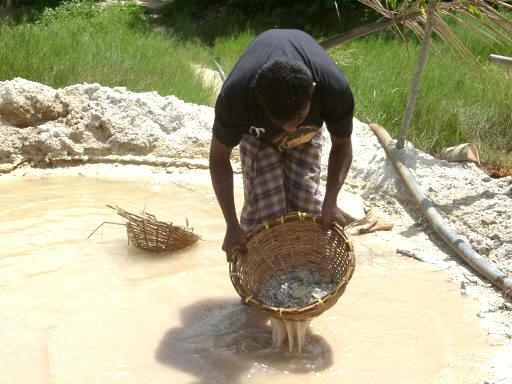 Priding itself on utilising the only natural moonstone mine in Sri Lanka, the Moonstone Mine and Factory located in Domanwila, Meetiyagoda strives to be the best provider of clear moonstones. Meetiyagoda, situated between Ambalangoda and Hikkaduwa, is believed to be an area where moonstones are found in abundance and as a result, many locals are of the belief that this area has been blessed by the moon itself. Established fifty-nine years ago, the Moonstone Mine and Factory focuses on designer jeweller, cufflinks, necklaces, bridal jewellery, earrings, pendants and sterling silver jewellery. However, their pride mainly lies in their passion for moonstone production. Aside from moonstones, this company sells a number of other precious and semi-precious stones such as blue sapphire, ruby, coral, jade, tiger’s eye and more. For those residing at a hotel in Kalutara or any area close to Meetiyagoda, the Moonstone Mine and Factory merits a visit. The mines are deep and narrow and are open for public viewing while the company has also, quite usefully, set up a visitor centre that provides tourists residing in hotels in Kalutara with information about this semi-precious stone. For those who wish to take back souvenirs that are truly unique to Sri Lanka, these gems can be purchased at the premises and moonstones will make an excellent gift, for others or even yourself! After splurging on such luxurious accessories, one would surely wish to return to the comfort and opulence of the Avani Kalutara Resort which is a hotel that celebrates the juxtaposition of quintessential colonial charm with modern design. Next Post Fish Market – Enjoy Fresh Fish Every Day!